And come out with so many others? 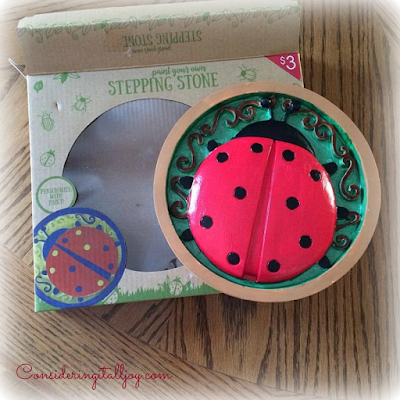 Cute ladybug stepping stone! Love the paint on the unique telephone table! Your projects turned out beautifully, my friend! 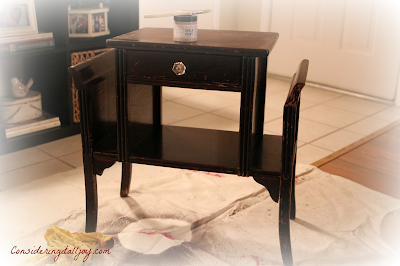 The sweet little ladybug is darling and the color you used for your table is stunning. Have a wonderful week, dear Cindy. Hugs! You got two projects done! That is good! I am hung up on the screen (alias bat home--see my blog) that I am preparing to paint. It has such intricate caring in it and am having a hard time trying to get the dust from that part. I used a brush on it outside, tried the vacuum inside, used a nail brush with water, used rags, used Q-tips,...still dusty. 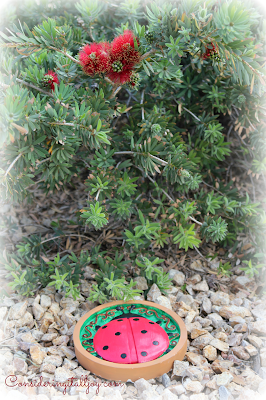 Very sweet whimsy in the cute Ladybug, fun pop of color. 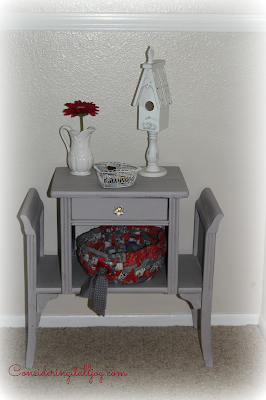 The Red décor accents on the Grey painted telephone table look terrific. Another step towards completion of your bedroom and the reveal. Have a wonderful week and I'm sending you a 20 second cyber hug. The ladybug is a bit of joy in your gardens. Love what you did with that little table. I think it looks great. Once again, you've inspired me. Hi Cindy, Love you darling stepping stone. It looks perfect inn your garden. Yes, I do the same running in the store for one thing and come out with several more goodies. Love how your table turned out too. The color is so soft and warm. Love how you styled it too. I think it looks so sweet, Cindy! Can't you just picture one of the old-fashion & obsolete phones sitting on there with the phone books on the side? I kind of miss those old phones, but then again, cordless is so much easier! 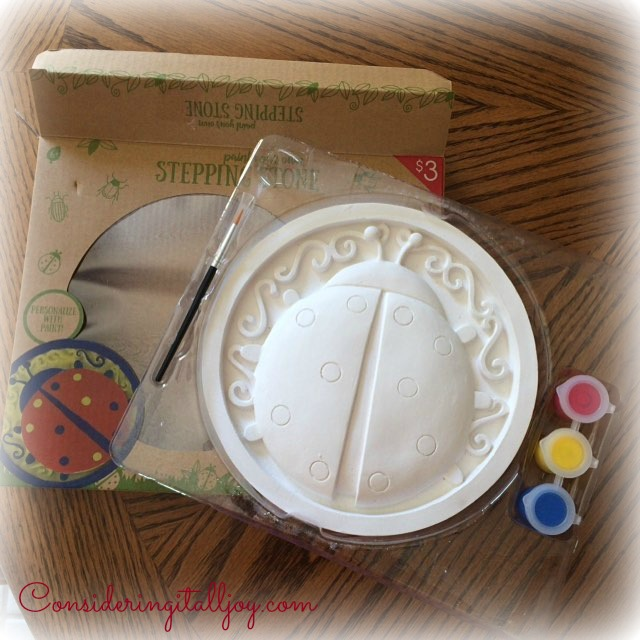 The lady bug stepping stone is adorable. I bet your little "K's" really like it! Happy Monday. Love seeing your creative spirit kicking back into gear. The ladybug for your garden is adorable. Gotta love Target! Love the vintage phone table and the color is fabulous. Have a great new week. I LOVE the ladybug! I used to tell my boys "ladybug stories" when they were little. They were about a ladybug and her daily adventures. I would just make up my stories as I went along, but it seemed to entertain them. Now they're in high school and college and they still remember those stories. :) I have those same bottle brush bushes in my yard! Love that they're in bloom right now. Anyway, I think you did a great job on the table! It's very pretty! The lady bug is cute . I didn't see that the other day. I may just have to go back. I do love the gray paint on the table. 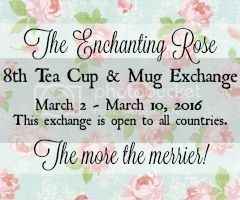 Glad you are doing some happy spring projects. If I could ever "run" in to Target and NOT run out with a cart full of items I'd be happy! The ladybug stepping stone turned out adorable, Cindy! I REALLY like the color of your nightstand/telephone/magazine rack. You did a nice job of painting that, too! and you always do cute little displays on your tables. Perfect time of year to get projects finished up. Enjoy the rest of your week, sweet girl. Cindy, the little stepping stone is so cute! 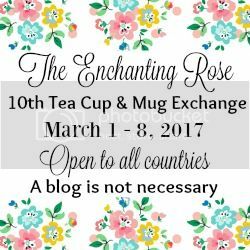 You already have bottlebrush blooms? Wow! Your painted furniture piece looks great! Don't you love it when a happy accident occurs? 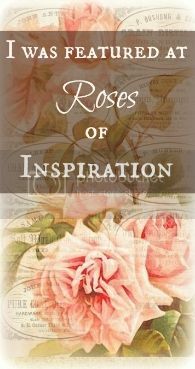 Hi Cindy, I love your creativity! The stepping stone is beautiful and such a bright touch for a garden. I may have to look for those at our target, so I can get some for the granddaughters. It's cold and really windy here today-wish I was in your warm state. Love your furniture! Hope you find some joy in your day-I know you give it to so many others. Sending love your way. Catching up on my reading. You did a great job! I love it. It's so much better than the ones I see in shops in Nashville going for $200. You did good!